I was inspired on Birth Work during my Peace Corps years in Morocco (2003-05) when while working on developing a Reproductive and Sexual health Education Program for Berber rural women in Ouled Berhil with my limited Derija skills but my passionate spirit, I met Midwife Aicha. After that we both started to develop a comprehensive sexual education program for women and started doing workshops in the community, and following her to her births. She inspired me to continue my studies in Midwifery and I continued my passion for accessibility on Reproductive and Sexual health services for women of color trough Taller Salud. Women themselves on a day to day basis inspired me to continue to these days. I got more inspiration to work with trans families and variations of resources later when working on Chicago Womens Health Center, and with teen mothers on topics around shame and estigma while volunteering on Little Village, Chicago. I kept noticing the lack of affordable Doula services connected with reproductive justice and specially with a class and race perspective; so here I am, doing my part and trying to convince others to join me! Popular Education and education for the oppressed (Freire/ Boal). Reproduction Justice and education with, by and for the people. Being present! I always feel, when Doula-ing that I am part of something bigger and more powerful than just one birth. I feel I am part of a bigger collective out there of women willing to make a difference not only on other women’s lives but in society. I love the feeling of working for a more justice world for us all. I love feeling it so natural, part of healthy human relations and support system that makes us better human beings into this wonderful world. I would change laws that don’t let traditional Midwives in Puerto Rico and Illinois to practice autonomously their passion and cut the accessibility of resources for women and people. 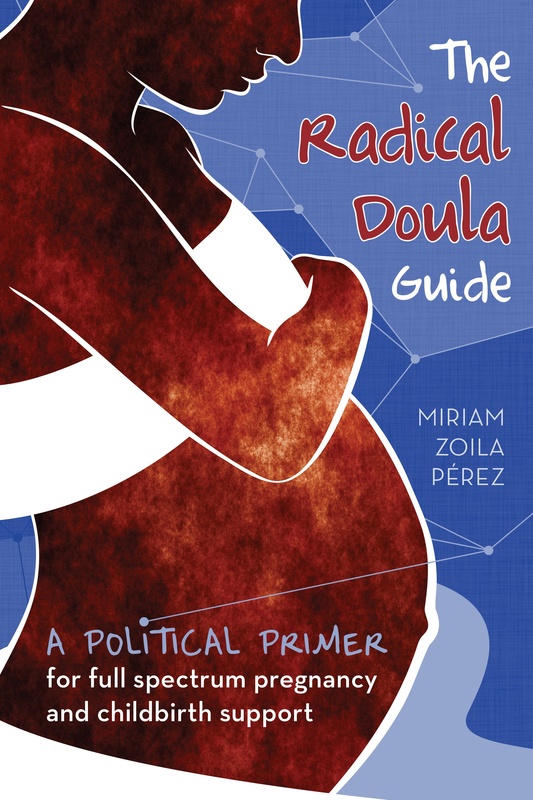 I would change that more Doulas could feel the urge and passion to organize by region and moving collective agendas for reproductive justice, I really wish people could understand it is a bigger people. i swear I would keep on doing it trough my work, i know were are many more out there; that makes me happy!